Today I have an exciting Valentine’s Themed Gift for you. What is it? 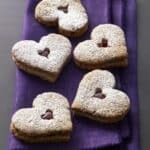 A recipe for Linzer Heart Cookies from Tate’s Bake Shop’s Baking for Friends Cookbook, a 20% discount at their online store AND a giveaway to one lucky reader for a copy of the cookbook AND a Cookie Cube Tower. Read on for all the details. My parents always did something special for us on Valentine’s Day. I remember cards and chocolates, flowers and stuffed animals. There was always something red and covered in hearts on this special day. This continued until I was a bit on the older side, too. 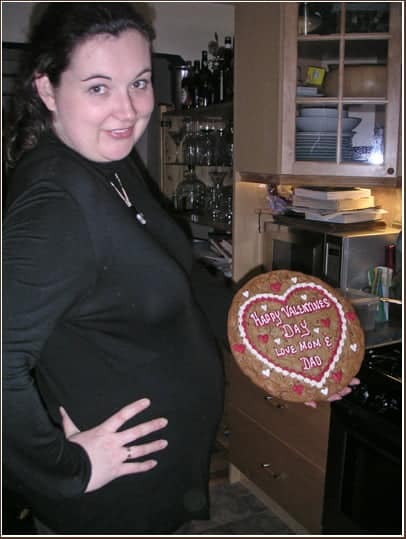 Here’s the cookie Mom and Dad sent to The Hubs and I when I was 7 months preggers with J. Special, right? (I look a bit crazy here. I think this was taken late at night after I returned home from a prenatal yoga class. At least I’m guessing that the strange top I’m wearing must have been somehow yoga-related. There is no other explanation). Me with a large cookie and a larger belly. Thinking about this has made me realize that I’ve been a boring mom when it comes to all the little holidays. I’ve never done anything special for the kids on Valentines. Nothing at all. I don’t know why not. Maybe because until recently J was young enough to not realize that a holiday was going on. Now that he’s almost 5 he gets more excited about things. He’s already chosen Valentine’s Cards for his classmates (They’re Angry Birds Cards. How romantic.) and he’s asked me several times to tell him what Valentine’s Day is. I doubt that I’m going to start getting lots of presents for the kids on Valentine’s Day. That’s not really what it’s about, right? But I do want to do something special. I’m thinking that we’ll set aside the afternoon to do some heart-shaped baking. J loves to get into the kitchen, standing on his “special helping chair” to crack eggs and stir things up (by “stir things up” I mean “send flour and sugar flying around the bowl in such a frenzy that my kitchen gets coated in white dust”). This recipe has been given to me by the sweets-loving people at Tate’s Bake Shop for me to share with you today. It’s from the recent cookbook Tate’s Bake Shop: Baking For Friends. 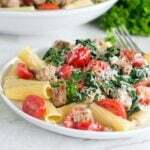 In addition to them allowing me to share the recipe, they’ve also graciously offered a special discount to all of my readers (that includes you!). You can head over to the Tate’s Bake Shop website and get 20% off your purchase with the code BLOG213. They’re also giving one of my lucky readers a special Valentine’s gift. It’s for a Cookie Cube Tower AND a copy of the deliciously beautiful Baking with Friends Cookbook. Yes really. You get a copy of the cookbook as part of the gift. I really love this book. It’s infused with the warm personality of Kathleen King, the creator and owner of Southhampton’s Tate’s Bake Shop. 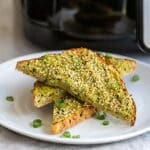 There are tons of great tips at the beginning of each section and every recipe has a headnote saying something special about the baked goods, the ingredients or, in many cases, something more personal to Kathleen about the recipe. For another delicious Valentines Day recipe, be sure to also check out my recipe for molten chocolate lava cake with wine sauce. I think I want to curl up with this book and eat some Linzer Heart Cookies, how about you? Line 2 large rimmed baking sheets with parchment paper or silicone baking mats. On a lightly floured work surface, roll out the dough to a round about ¼-inch thick. Use a 3 ½-inch heart-shaped cookie cutter to cut out the cookies as close as possible to avoid excess scraps. Arrange the hearts about 1 inch apart on the prepared baking sheets. Gather up the dough scraps and gently knead together, and cut out more cookies. 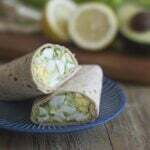 If the dough becomes too soft to roll out, refrigerate until chilled. You should have 40 cookies. Refrigerate for 30 minutes to 1 hour. Use a 1-inch heart-shaped cookie cutter to cut out the centers of 20 cookies. These will be the cookie tops. 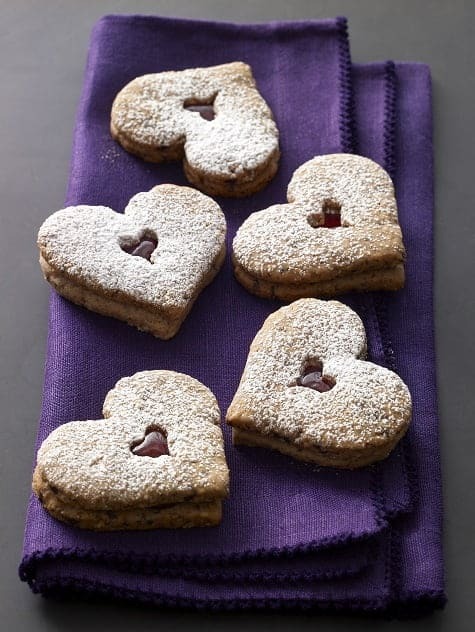 (You can bake the mini hearts to nibble on later! Don’t throw away or re-roll.) Bake, switching the position of the baking sheets from top to bottom and front to back halfway through baking, until the cookies begin to brown, 20 to 25 minutes. Sift some of the ½ cup of confectioners’ sugar over the hot cut-out cookies Let cool completely on the baking sheets. Now please head on down to the comments section and tell me: What special things do you do for or with your kids on Valentine’s Day? I know, the clean up can be killer. But it’s so worth it to watch them marvel at what they’ve made.